There is a world of difference between blending and juicing; you will learn this presently. As for juicing using your spanking new Ninja Blender, you will grin to know that the possibilities are almost endless. We are not merely referring to the culinary diversity a blender brings to your kitchen or cooking events, but also to its magnificent health advantages. Time is always running ahead of us and we find that our health suffers because of it. We sleep less, eat poorly, and the only exercise we get is moving between places before exhaustion overcomes us and we slump down to rest. This has to stop somewhere. If you can eat healthy, or rather drink the right things, your energy levels and nutrient balance will be top notch. You will then have sufficient encouragement to squeeze in all those other things to enhance your health and therefore your lifestyle. We are of course referring to blenders with which you can make supreme health mixes, often on the go. You save time and sacrifice none of the nutritional benefits. What more can you ask for? After, say, several months even a year, you may even add exercise to that routine. Before long, you have the life you always wanted, with limited medical bills and more energy and personal well-being for use in all the right places. These blenders are specialized machines that have such thoughtfulness going into their design. They are state of the art, the newest of the new, and with the Ninja, you own you can make change happen. That said, the right kind of blender or juicer could gather all the nutrients from a certain bunch of health foods and pack them into the blend or juice. If you get the wrong kind of machine for this job, you will see wastage and a good load of nutrients going down the drain. The amount of veggies or fruits you consume (i.e., intake) is enhanced with blends and juices where even pips and seeds are mashed to augment the nutrient value. Your body will absorb liquids faster than solids, which makes juices and blends that much more health-oriented. With such ideal nourishment going into your cells, you will crave less for sugars and processed foods. Since fruits or juices are taken in blended or juiced, you get all the micro-nutrients and can do without the macro-nutrients (i.e., carbohydrates). Juices: Almost instant energy rush, quicker nutrient and sugar absorption, more fiber included in the juice, more nutrients from the source foods added. Blends: stabilizes blood sugar levels, gives you a ‘full’ sensation, slightly slower nutrient and sugar absorption, more fiber and of course, more nutrients from the source foods added. Whatever your choice, whatever your mood, you can select from one of two supremely healthy options that cater to your every nutrient need. Our primary focus centers around juicing. First off, not all type of blenders can juice. The name declares solely blending but several models can juice like a pro, so take your time to look at the product’s features where it will say in no uncertain terms whether or not that Ninja can juice. Alright, you have found a cool Ninja and it juices as well as it blends. Can it juice anything, though? Let us find out. Most people love their chunky smoothies but when they want juices, they resort to spending extra on a separate appliance altogether. With the right blender, you can enjoy the best of both worlds. We are not going to make the process sound fancy, because it isn’t. You basically blend the foods you want and strain them afterwards. Voila, juice. Because of the sheer power, that a Ninja works with the blend is super-smooth and everything is crushed and melded beautifully. This means straining is no longer a chore. Besides, you should definitely taste the mushy leftovers after the juice is collected in a separate glass. There is health waiting in both the ‘solid’ remainders and the juice so do not throw out the former and gulp down the latter. Chop your fruits or veggies, drop them in the blender jar, and rely on its Pulse technology to create an even blend. Stop, add some water, and scrape down the sides, repeat. Depending on what is inside the blender jar, the amount of water will need to be less or more than half a cup. Afterwards, take out a sieve (or even a nut milk bag or cheesecloth) and large bowl. Start the straining process. Just make sure that you know the fruit or veggie combinations you plan to use. The last thing you need is to waste all that time and Ninja power on a smoothie that turns out to be disgusting. Once you have settled on the right choices, from online and offline research and recommendations, your Ninja will serve you like a pro. Here are the two best ninja blender that you can use as a ninja juicer. This under $50 blender is perfect ninja blender for juicing. 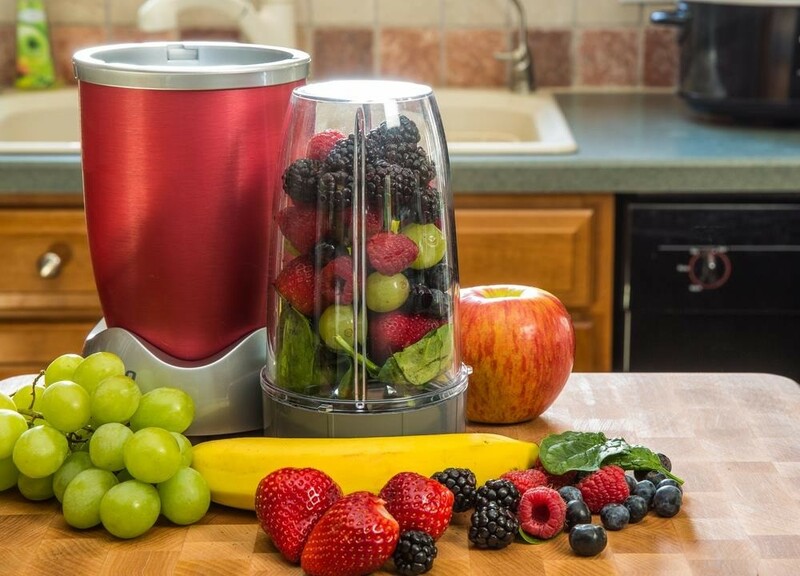 A blender which you can use to make shakes, smoothies as well as juice. Why to buy and extra juicing machine when you can do the same stuff with your ninja blender. In the above steps I already describe how you can make your juice with ninja blender. This ninja blender is comes with 3 different jars of 16 0z , 40 oz and 48 oz. All of its jars are dishwasher safe and BPA free. Some best features of ninja blender processor are 450 watt power, 4 and 6 blade attachment and 1 year warranty. Now if you are searching for a juicer which can blend ice quite easily, the ninja Kitchen system BL770 is best for you. This blender can blend pulverized iced into snow within few seconds. Not only you can use this blender as a juicer you can also use this blender as a mixer for your mixing works. 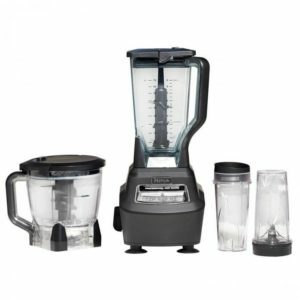 Its has more powerful motor than ninja blender processor 450. like other ninja blender it also dishwasher safe and BPA free. Go and grab ninja blender as juicer. If you are searching for a light juicer for your daily workout drink ( like – protien shakes, orange juice etc.) then go with Ninja Blender processor 450. But if you want to make ice cream or grind coffee beans then go with ninja mega kitchen system blender. While the juice content will not be all that plenty, the health value is still present in that glass. It tastes delicious too, like something you may find at a juice store (no kidding). You can style it up, as you like to make it presentable if you are serving it to family or friends, even guests. 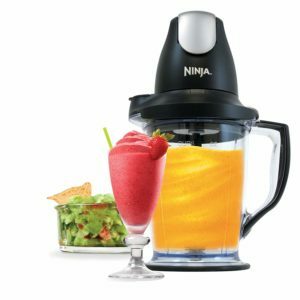 The final answer is yes you can indeed make any juice with a Ninja blender because, as we mentioned earlier, its powerful motor and blades can mush, merge, and meld any health food out there. And the resultant mush makes it much easier to strain the juice out of.